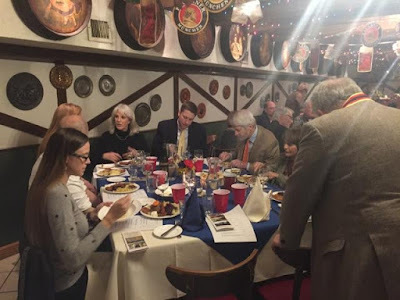 After a long absence, the German Wine Society (GWS - Washington DC Chapter) returned to Old Europe Restaurant in Georgetown. Annette presented 3 red wines, 1 Sekt (sparkling wine) and 6 dry and 1 “halbtrocken” white wines from 10 out of the 13 wine regions in Germany. The tasting also included 2 Grosse Lage/ Grand Cru GG wines. Germany is known for its Rieslings. Yes, it is the #1 Riesling producer world-wide, but it is also the #1 Pinot-Blanc (Weissburgunder) and #2 Pinot-Gris (Grauburgunder) producer. And, today, most of the white wines produced in Germany are dry. 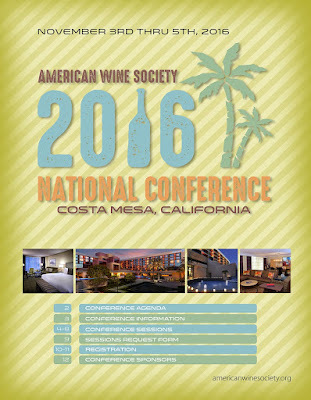 All presented winemakers, Annette knows personally. 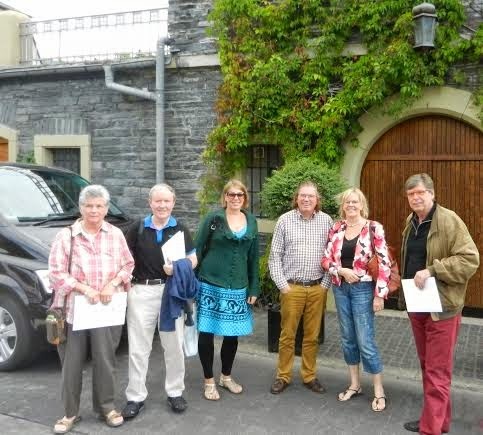 She has visited all of them on one of the wine tours to Germany (Germany-East, Germany-South and Germany-Nord). Annette shared memories from these visits. * “Apfelstrudel mit Vanillesoße”-apple strudel served with vanilla sauce. There will be coffee serviced with the dessert course. 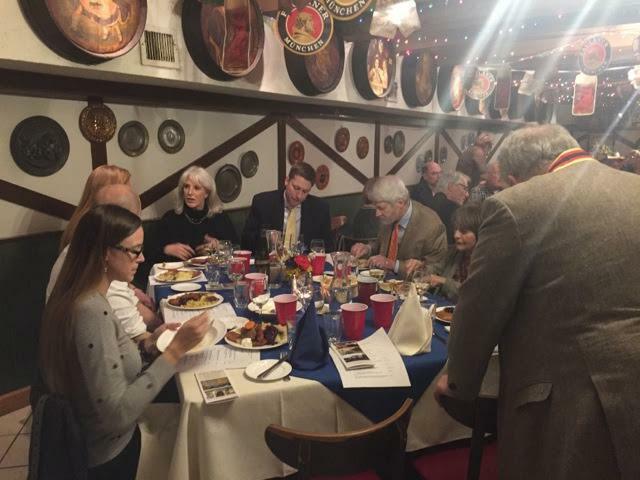 Old Europe is located in Georgetown at 2434 Wisconsin Ave NW, Washington DC. 30 or 40 years ago, German red wine accounted for only about 15 percent of German wine output. Today, we are well over 35 percent. And not only the vineyard area planted with red grapes has expanded dramatically, but also the quality has improved considerably. Today, German red wine can compete with any red wine in the world, I believe. 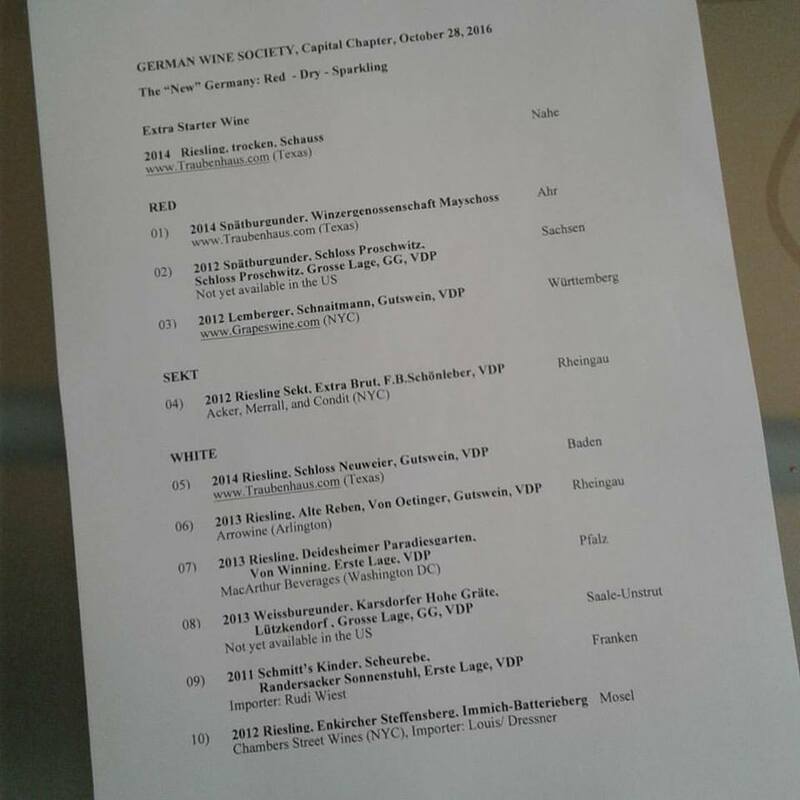 As a result, German red wines are increasingly appearing in the international wine market. Of course, given its location, they tend to be not like the fruity red wines we know from warmer countries, but lean and more elegant, with a lot of finesse. The Ahr valley north of the 50 °latitude is unquestionable the northernmost region for producing top Pinot-Noirs. The secret lies in an ideal micro-climate found in the narrow canyons along the river with their very special geological conditions, and south-facing slopes. Wine making along the tiny Ahr river goes back to Roman times. There is no other wine region in the world with such a high concentration of Spätburgunder/ Pinot Noir (86%). Annette Schiller: This region tickles all your senses with its unique voluptuous baroque architecture, a rich history, its wealth of art, and love of all the good things in life. What it is not so well-known for is its wine. Bordering Poland and the Czech Republic, Sachsen is one of Germany’s small wine regions (360 hectares) and disappeared from the wine map during the communist period. During the communist times from 1945 until reunification in 1989, wine production was nationalized, and winemaking took place in huge VEB (volkseigener Betrieb / company owned by the people) wineries. The output, the bottle count was imposed on the VEB by the State, and therefore quality could not play a major role. After the iron curtain came down, family wineries were founded, and the winemakers pursued quality with a vengeance. The three main grape varieties are Müller-Thurgau, Riesling and Weissburgunder but many others are grown in smaller quantities, including Grauer Burgunder, Spätburgunder, Roter Traminer, Kerner, Dornfelder, Goldriesling, Scheurebe and a rarity, Dunkelfelder. The wines are mostly dry (trocken). Most of the wine produced in Sachsen is consumed in the region. More wine is consumed in Württemberg (per capita) than anywhere else in Germany - actually twice as much as in the rest of Germany. The German poet Friedrich von Schiller wrote already several centuries ago: “A Württemberger without wine--is that a real Württemberger?” Yet, the wines of Württemberg are very difficult to find outside of Germany. This is changing slowly, as the world is discovering the outstanding German red wines. Not well known, Germany is one of the largest sparkling wine markets in the world. One of four bottles of sparkling wine produced in the world is consumed in Germany. Sparkling wine produced in Germany is called Sekt. Sekt is made in all German wine regions, both in the méthode traditionnelle and charmat method. 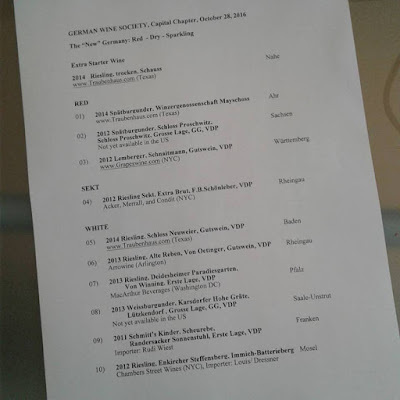 When you travel outside of Germany and check the wine lists of restaurants and retail stores in terms of German wines, you easily get the impression that Germans are hooked on sweet wine. 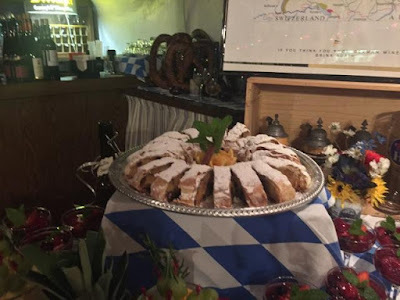 It is the fruity-sweet Riesling style that is so popular in the world and that many equate with German wine and the German’s preference for wine. But this is faulty. Germany drinks dry. Like the rest of the world. I estimate that 95% of the wine consumed in Germany is dry and sweet-style wines are niche wines in Germany. This is pretty much in line with the consumption patterns in the rest of the world. But the delicious low alcohol, fruity-sweet Rieslings that German winemakers are able to produce, are unique in the world and popular everywhere. Weingut Schloss Neuweier, although not well known in the US, is a very special, premium wine producer in Baden, with a long history. The export share of Weingut Schloss Neuweier is negligible, which is typical for the Baden region. But this may change for Weingut Schloss Neuweier in the future and was not like this in the past. Its Mauerwein (Wall wine – from a terraced vineyard on the hill behind the castle) was one of Queen Victoria’s favorites. It had won an award at the International Exhibition of Philadelphia in 1876 and was on the airship Graf Zeppelin’s maiden flight. Achim von Oetinger is an old buddy of Annette and me. Based in Erbach in the Rheingau, which is 45 minutes away from Frankfurt by car, we see him regularly at events when we are in Germany. I have asked him several times: When will your wines be available in the USA. His answer was always the same: I am too small. I do not have enough wine for getting involved in exports to the USA. 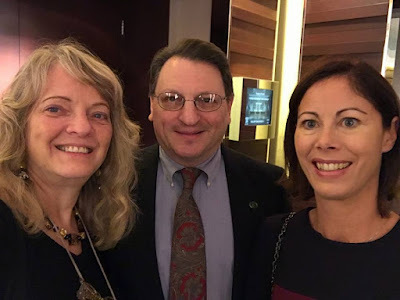 Against this background, I was thrilled when Arrowine, a leading wine store in the Washington DC area, started to bring Achim von Oetinger's wines to the US. Terry Theise: The fact that this estate is crafting some of the very best dry wines in Germany is no fluke, rather a result of nearly obsessive winemaker Stefan Attman’s commitment to both dedicated cultivation of Deidesheim and Forst’s best sites and meticulous work in the cellar. Under the same ownership and winemaking team, the Dr. Deinhard label is designated for fruity styles vinified in stainless steel while the Von Winning label is reserved for the Grosses Gewächs sites vinified dry and in wood. Von Winning maintains some of the oldest parcels in Grosses Gewächs vineyards smattered across Forst, Deidesheim, and Ruppertsberg. Attman’s every decision is informed by great enthusiasm and experiences at estates in the Cote d’Or and abroad. For example, Attman’s newer vines are planted at a very high vine density- 9500 vines per hectare, as opposed to the more typical less than 5000. This creates competition amongst the vines, forcing the roots to grow deep, naturally reducing yields. Attman has adopted the single cane trellising system, prevalent in Burgundy, and Grosses Gewächs wines ferment in 500mL French barrels. Von Winning practices organic and sustainable viticulture. The Big Glue: Immich-Batterieberg is one of the oldest wineries in the Mosel traced back to the year 911. 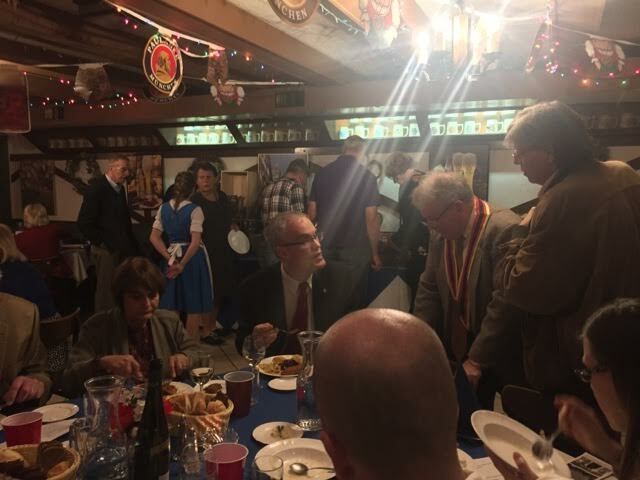 In 1495, the Immich family purchased the property, producing traditional dry and off-dry wines under their name for almost 500 years. After filing for bankruptcy in 2007, the estate was reacquired in 2009 by Gernot Kollmann and two Hamburg based investors. Since taking over, the wines are once again produced in a dry or off-dry style, with sugar levels depending on each site, each vintage. All of the Cru wines are once again being vinified separately in old oak barrels; spontaneous fermentations are the norm and chaptalization, re/de-acidification or any other intervention during vinification is forbidden. Sulfur is added in low doses and only before bottling. 80% of the vines are un-grafted and over 60 years old, and everything is worked organically (though not certified). 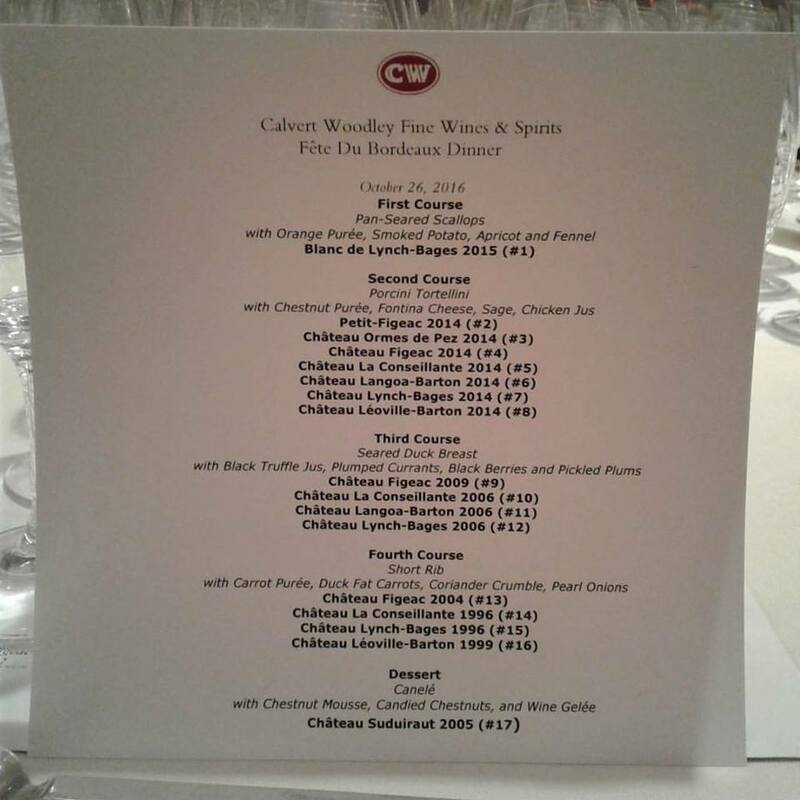 Calvert and Woodley: Our annual Fête du Bordeaux dinner is here! This year's Fête du Bordeaux introduces the soon-to-be-released 2014 vintage, but also features wines from 2009, 1996 and others. The 2014 vintage is a good, if not very good, vintage with many excellent wines. We were quite happy when we tasted them in 2015 and again earlier this year. They're still quite young, obviously, but they show plenty of promise. The dinner will be Wednesday, October 26th at the Park Hyatt in Washington, DC. 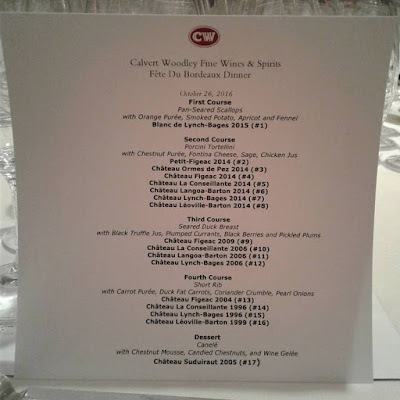 US Wine Retailer of the Year 2012, Ed Sands and his son Michael Sands put on again a fantastic evening with an amazing selection of ultra-premium Bordeaux wines and the food of Blue Duck Tavern Chef Franck Loquet at the Fête du Bordeaux Dinner 2016. We have not yet visited Châteaux Léoville Barton and Langoa Barton as we always visited one of the two other Léoville châteaux, Château Leoville Poyferre. 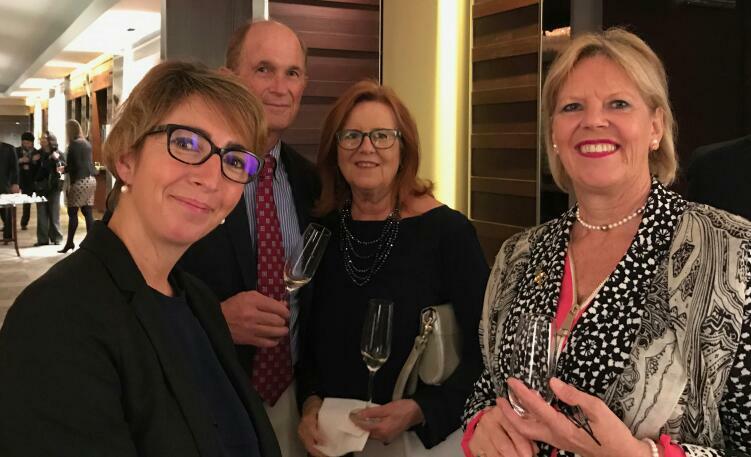 Annette already agreed with Technical Director Marielle Cazaux that in 2017, the ombiasy WineTour to Bordeaux will include a visit of and tasting at Château La Conseillante. In September, 2011, the Barton family purchased an additional Bordeaux estate, Château Mauvesin in Moulis. Jean-Charles Cazes, the grandfather of the Jean-Charles we met, purchased Château Lynch Bages and Château Ormes de Pez in St. Estèphe on the eve of the Second World War. Lynch Bages and Ormes de Pez have been run by the Cazes family ever since. Until Jean-Charles Cazes took over in 2006, his father, Jean Michel Cazes, was at the helm of the family empire. He was a very influential personality in Bordeaux. Before returning to Pauillac in 1973 to take over the family's insurance and wine interests, Jean-Charles was for 10 years a manager, based in Paris. In addition to the Cazes family wine interests, from 1987 to 2000, Jean-Michel Cazes developed AXA Millésimes, the wine properties department of the insurance company AXA. French insurance companies are required to invest in French property. Their assets in Bordeaux include Château Pichon Longueville Baron, Château Suduiraut, Cantenac Brown (recently sold) and Chateau Petit Village Abroad they own Quinta do Noval, a Port producer in the Douro Valley in Portugal, and the Tokay producing Disznókő estate in Hungary. In 2006, after 33 years in charge of the Cazes family interests, Jean-Michel Cazes stepped down, handing over management of the family interests to his son Jean-Charles Cazes. Born in 1974, Jean Charles grew up at Lynch Bages, the last of four children, and the only son. Jean-Charles Cazes assumed overall responsibility for management of the renowned Cazes family estates and winemaking operations, extending from Bordeaux to southern France and including joint ventures in Portugal and Australia, including the Bordeaux chateaux of Lynch-Bages, Ormes de Pez and Villa Bel-Air; the Michel Lynch brand of Bordeaux varietals; L'Ostal Cazes and the Circus line of wines from the Languedoc; a distribution company, JM Cazes-Selection; Xisto, a joint venture with the Roquette family in Portugal's Douro Valley; and Tapanappa, a joint venture in South Australia undertaken with the Bollinger family of Champagne fame and pioneering Australian winemaker, Brian Croser. Jean-Michel Cazes continues to lead the wine and tourism division of the family’s activities, notably Château Cordeillan-Bages in Pauillac converted into a hotel and a restaurant of two Michelin stars. Chateau Lynch Bages is a Fifth Growth in the village of Bages, just southwest of Pauillac. Jean-Charles Cazes was able to purchase Lynch Bages in 1939. The vineyards total 90 hectares, with 75% Cabernet Sauvignon, 17% Merlot, 6% Cabernet Franc and 2% Petit Verdot. The white wine vineyard, planted on 6 hectares, is located to the west, with vines 20 years old on average, it’s composed of 53% Sauvignon Blanc, 32% Semillon and 15% Muscadelle. Chateau Lynch Bages, AOC Pauillac, 5th Grand Cru Classe, 25,000 cases. Echo de Lynch Bages, AOC Pauillac, 10,000 cases, often a blend of 50 to 60% Cabernet Sauvignon, 25 to 30% Merlot and 15 to 20% Cabernet Franc. Blanc de Lynch Bages, AOC Bordeaux Blanc 4,000 cases. They begun making white wine in 1990. Château Les Ormes-de-Pez is in the Saint-Estèphe appellation. In the 2003 listing that was later annulled, Château Les Ormes-de-Pez was classified as one of 9 Cru Bourgeois Exceptionnels. It belongs to the group of six former Cru Bourgeois Exceptionnel (Château Chasse Spleen, Château Les Ormes de Pez, Château de Pez, Château Potensac, Château Poujeaux and Château Siran) that have decided to remain outside the Cru Bourgeois Classification. The vineyard area, divided into two blocks north and south of the village of Saint-Estèphe, extends over 33 hectares, with 70% Cabernet Sauvignon, 10% Cabernet Franc and 20% Merlot. The annual production is 15,000 cases. Ormes de Pez was purchased by Jean Charles Cazes in 1927. Château de Figeac is one of the 15 Premier Grand Cru Classé B Châteaux in Saint-Emilion. Its prominent neighbor is Château Cheval Blanc. The vineyards of Château de Figeac border the Pomerol appellation vineyards and thus the vines grow on a very different terroir than the rest of the Saint-Emilion vines. The Figeac wines show a more “Left Bank” character than the rest of the Saint-Emilion wines. Because of its fine gravel based soil (which is uncommon in the Right Bank), Merlot accounts only for 30 % of the plantings (which is very low by Saint Emilion standards). The Château Figeac Grand Vin is dominated (70%) by Cabernet Sauvignon and Cabernet Franc in equal parts. Château Figeac is known as the most Médoc of the Saint Emilion chateaux. For most of the past 70 years, Château Figeac was been associated with Thierry Manoncourt, who took over the management of the property in 1946, and his wife Marie-France; Thierry Manacourt passed away in 2010. It was under his leadership that Château Figeac rose to the front ranks of Saint-Émilion estates. In 1992, Thierry Manacourt divided the business between his 4 daughters, bestowing the larger share on his eldest daughter, Laure. Château Figeac tends to harvest early with a view of retaining freshness. After Haut Brion and Latour, Château Figeac was the third estate in Bordeaux to introduce stainless steel tanks; there are now 20 temperature controlled vats, 10 in oak and 10 stainless steel. Since the mid-1970s, Figeac has been aged in 100% new oak. The time spent in new oak varies according to the vintage character. The 1997 vintage was aged 12 months, while the 2009 vintage saw new oak for 18 months. The family also owns two other wineries: the nearby Château La Fleur-Pourret (4, 5 hectares, Château La Fleur Pourret was part of Château Figeac many years ago, also bought in 2002), and Château de Millery (just over 1 hectare), in the southern sector of St.-Emilion known as St.-Christophe des Bardes. For many years, Madame Manancourt's son-in-law, Comte Eric d'Aramon, was the DG of Château Figeac, but he was removed in 2013, when the Manoncourt family appointed Jean-Valmy Nicolas as Joint Managing Director and Frédéric Faye as Manager of Château Figeac. Jean-Valmy Nicolas (a graduate of France’s HEC business school) is a co-owner of Chateau La Conseillante in Pomerol and a professional at an investment company in Paris. Frédéric Faye (an engineering graduate of Bordeaux’s ENITA), has been at Château Figeac since 2002, when he began as Vineyard Manager before being promoted to the post of Technical Manager. He now has overall management of the vineyard and the wine-making, as well as the sales of the wines. As part of these changes, in March 2013, Michel Rolland signed a consulting contract with Château Figeac, with the aim of bringing it up to Premier Grand Cru Classé A.
Berry Bros. And Rudd: Château La Conseillante is amongst the crème de la crème of Pomerol producers. It can trace its history back to 1735 and has been in the hands of the Nicolas family since 1874. Franck Loquet joined Park Hyatt Washington in November 2015 as the new executive chef. Prior to joining Park Hyatt Washington Chef Loquet served as the executive chef for the Hotel Sofitel Lafayette Square since July 2011. He relocated to the United States from Paris, France where he worked for world-renowned chef Alain Ducasse from 2008 to 2011. His culinary experience includes working at multiple one and two-star Michelin restaurants throughout Europe including Ze Kitchen Galerie in Paris, cooking with William Ledeuil, winner of the "Chef of the Year 2010" by the Gault Millau guide; Midsummer House Restaurant in Cambridge, England under Chef Daniel Clifford; and at Inverlochy Castle in Fort William, Scotland. Named one of the finest restaurants in Washington, DC by Zagat, The Washington Post, and Washingtonian, Blue Duck Tavern features creative American cuisine crafted from the region’s seasonal ingredients. The centerpiece of the open restaurant is a wood-burning. Touches of dark oak, blue burlap, handcrafted furnishings and rustic wood tables create a warm atmosphere. The restaurant also features a private Chef’s Ttable seating up to 18 guests. Blue Duck Tavern has 1 star in the Michelin Guide. You could order all the wines at the event at a special price. The regular Calvert and Woodlye are given in brackets.